Nor Vank (New Monastery) was the name residents of Sis (present-day Kozan) used for Catholicosate complex located to the northwest of the town, on the slopes of the fortress hill. The royal palace was built on this same spot during the reign of Hetoum I (1226-1269) of the Cilician Dynasty. It had its own church, St. Sophia. During the years 1180 and 1190, Sis had become the capital of the Cilician Armenian princes and had replaced the former center, Anavarza. The royal complex was destroyed in 1375, during the wars against the Egyptian Mamelukes. Left standing were two corner towers later incorporated into the overall structure of the Catholicosate . Catholicos Giragos I Achabahian (1797-1822) built Nor Vank. Work was completed in 1810. The new mother church rose atop the ruins of St. Sophia that existed during the years of the kingdom. The new church was also called St. Sophia. It was a magnificent work of architecture adorned with a grand central apse and with an equally impressive Catholicosate throne. The latter was a marble structure with engraved flat stones. On its four sides columns spired upwards, ending in a throne-like baldachin. The church had its belfry, but the bell was installed in the window opening of the St. Boghos-Bedros Chapel adjacent to the church. Due to the bell’s sonority, local Turks called the church çanlı kilise (the church with a bell or bell church). In addition to St. Boghos-Bedros, there were other chapels (Echmiadzin, St. Gregory the Enlightener, Holy Spirit), near the church, as well as the reliquary . 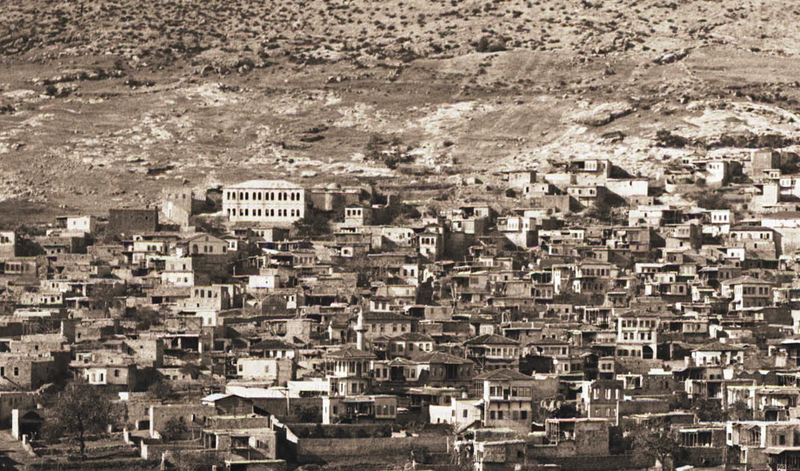 Catholicos Sahag II (1902-1939) gives a detailed description of the catholicosate complex in 1903. Accordingly, as one enters from the north door, a stone manger and barn are seen on the left. A bit further away, there is a small neighborhood of two story homes that serve as a hotel for pilgrims. This place is called kamışlı (cane field) because the rooms are separated with walls made of cane reeds. The monastery’s kitchen, with its larder and oven, was located to the west of this neighborhood. Further to the south was the tarbas (palace), with its three arched wood paneled long room. Numerous small and medium sized rooms, bedrooms for the brotherhood clergy, were built near the tarbas. The patriarchate (veharan) of Catholicos Mgrdich Kefsizian (1871-1894), predecessor of Sahag II, was located in those rooms . The complex also housed the theological seminary (Jarankavorats). Next to this an orphanage was opened in 1899 that operated for a few years. This was most likely the site of the Armenian Catholicosate during the years of the Cilician Dynasty that in 1292 had relocated to Sis from the town of Hromkla (present-day Rumkale). Local Armenians simply called it Hin Vank. In 1734, during the tenure of Catholicos Ghougas Achabahian (1731-1737), construction work on the new church commenced on the old ruins. According to Misak Keleshian, residents used to call this structure Klkhipatsi Vank (Bareheaded Monastery) due to the open windows on the dome. . But there is overall confusion about the official name of this church by historians and memoirists (Ghevont Alishan, Misak Keleshian). We believe that the most likely name was Holy Mother of God, also verified by a manuscript testament written around the 1850s in Sis . During the visit of French traveler Victor Langlois to Sis in the 1850s, the church had already been turned into an Armenian school. 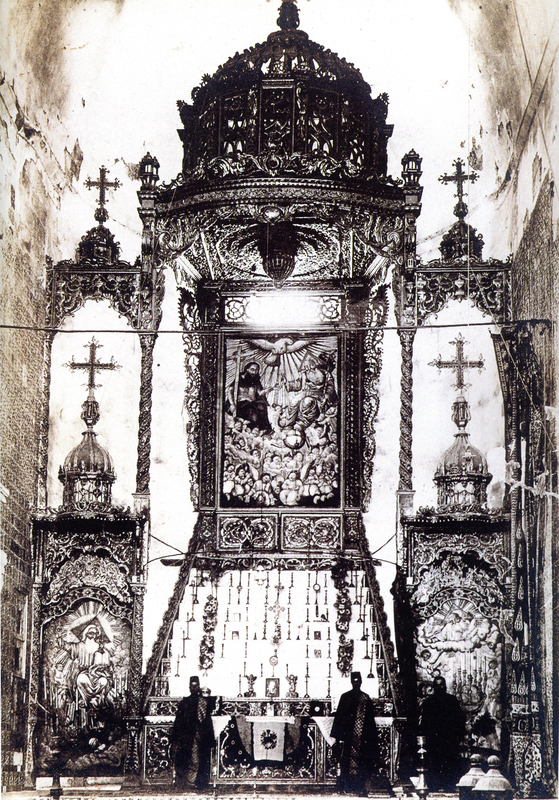 The catholicos’ wooden chair, constructed in the 18th century in Aleppo by a craftsman called Mikayel Kasbar, was still kept in the church. 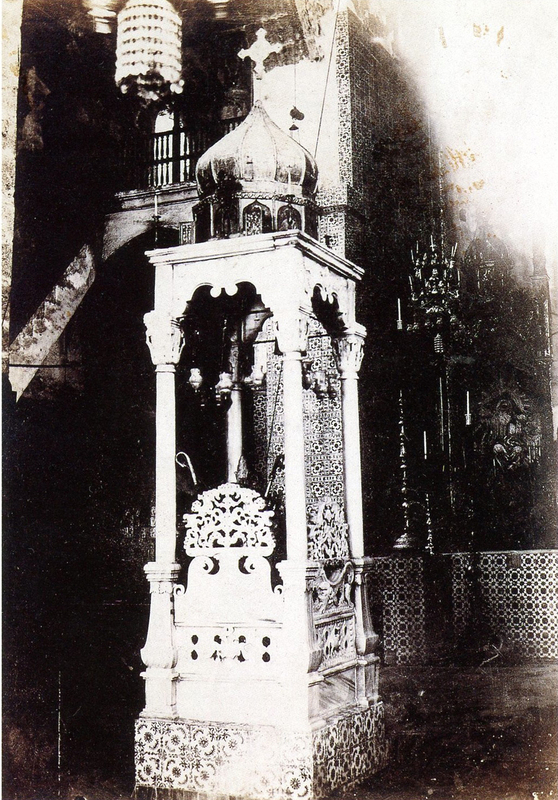 The tomb of Catholicos Ghougas was also placed in the church, to the right of the altar. In the courtyard were the tombs of other catholicoi, including Hovhannes the Fifth (born Hadjin, 1705-1721), Mikayel the First (brother of Ghougas, 1737-1758) and Toros the Third (1784-1796) . 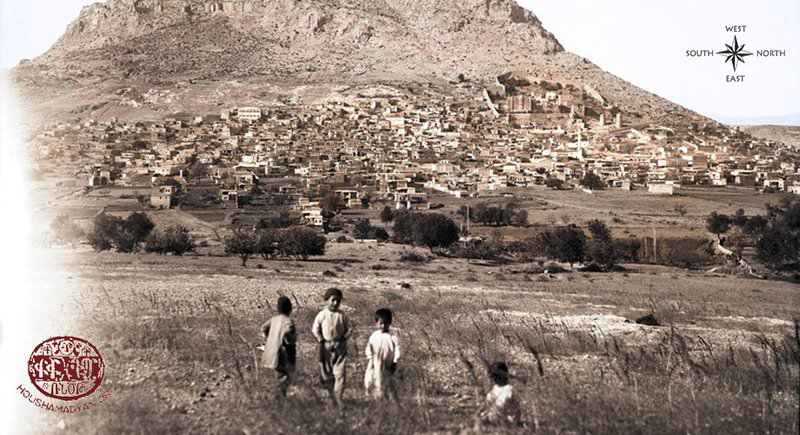 At the start of the 19th century, when Nor Vank (the catholicosate) was established, the Hin Vank was overshadowed by it and became more of an educational center, taking into account that the National School was built close by. According to Victor Langlois, St. Sarkis was a small church built in the center of town. It was probably a structure left over from the Armenian Cilician dynasty period, but only the bema’s arch remained from the old structure. The rest was built later on. At the time of Langlois’ visit, the roof was a wooden lattice covered with soil. Much later, the roof was repaired and covered with tiles. Small windows, barely illuminating the interior, were opened at a height equal to the arches. Crosses were carved on the stones inside the church, and bas-reliefs of saints were also visible . A small cemetery was located next to St. Sarkis where the members of prominent Sis families (the Fermanians and Nalbandians) were buried. A high wall encircled the church and cemetery . On the feast day of St. Sarkis, the Divine Liturgy was celebrated her and madagh (requiem meal offerings) were distributed. For a time this church served as a school, first for boys and later for girls . It is believed that this church was also constructed during the Cilician Dynasty, of which only the bema (according to Langlois) remained. It had three altars. Until 1907, the church had an earthen roof. Then, due to a public fundraiser, the roof was replaced with European tiles. Many local residents visited this church . 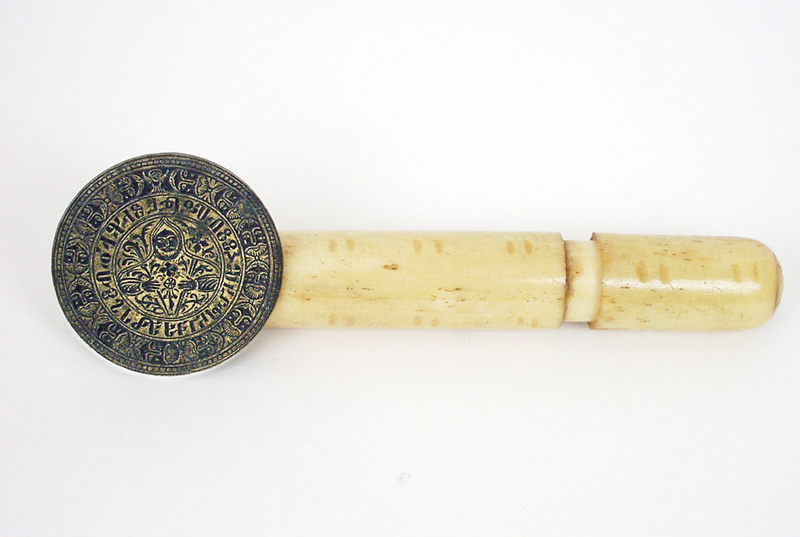 There was a marble column (20 cm x 250cm) in the church on which were engraved numerous crosses and the words “St. Constantine”. During times of drought, Sis Armenians would lay the column flat on the ground in the belief that such an act would cause it to rain . For a time, the church served as a girls’ school. There were several priest buried in the courtyard. 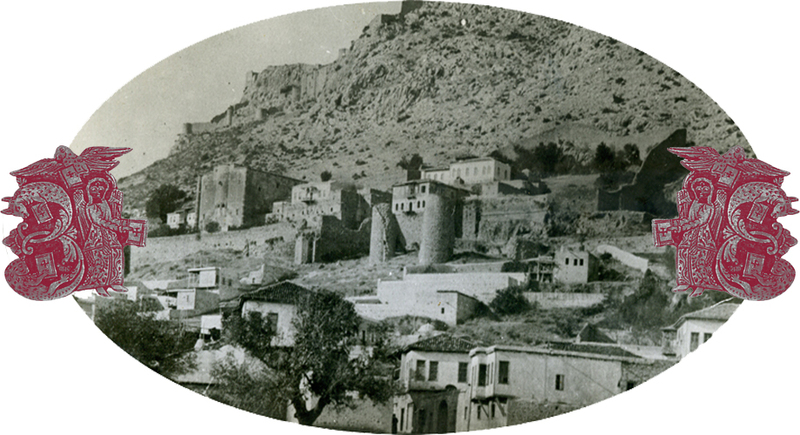 Keleshian believed that the body of Armenian King Levon II was buried her and that his heart was buried in Agner Monastery (village of Eğner) . Pastor Haroutyun Djinishian was the first spiritual pastor (1865-1867) of the Sis protestant community. He was followed by Pastor Kevork Kasardjian (1867-1869) and Pastor Sarkis Torian. It was during Pastor Torian’s time that the apartment of Mullah Omar in the Aslan Pasha neighborhood was purchased. After some modifications, it became the community’s assembly hall. In the following years, the protestant community bought adjoining lands with the aim to construct a two story building. 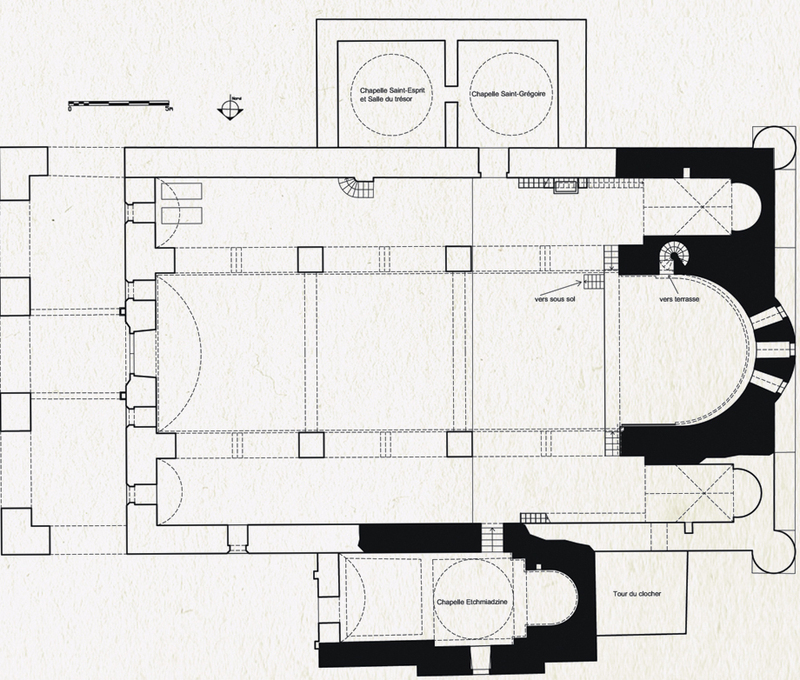 The lower floor would house a school with a church on the upper floor. 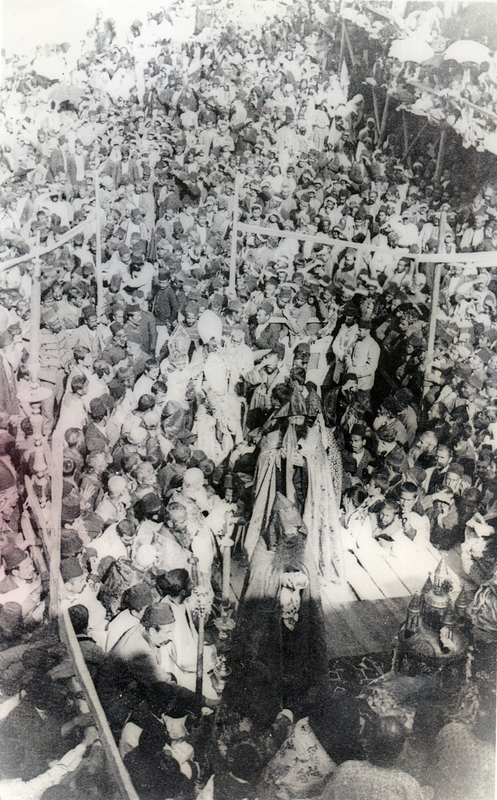 The building’s cornerstone laying was celebrated in grand style, but the Sis Catholicosate intervened and construction was halted. The building was finally completed in 1874 and a giant bell was installed afterwards. . In addition to the above-mentioned names, other pastors that served in the Protestant church were Hovhannes Ganimian, Kevork Mnchrian, Avedis Der Garabedian, Melidon Malian, Melankton Krikorian, Hagop Koumrouian, Apraham Seferian, Garabed Kssadjekian, Tavit Karamanlian, Hovhannes Chilingirian, Manoug Marashlian, Hampartsoum Geovkalaidjian, Apraham Berberian, Gosdan Moumdjian and Avak Shiredjian . After the 1918 armistice, Sis survivors of the evictions and massacres return to their town and start to rebuild a new life. The remnants of the protestant community renovate their church and school that had been turned into a Turkish school. Pastor Giragos Faradjian, who has also been exiled, becomes the community’s new preacher. G. Nokhoudian also serves as pastor during this time. .
Like the Protestant church, the spiritual house of the Catholics was located in the Aslan Pasha neighborhood, on the spot of an old khan. In 1883, a court case breaks out with the land owners over construction on the building. The Catholic community invites Manoug Efendi Karamanlian, a lawyer from Marash to handle the matter. The church had a large courtyard, fringed with gardens. Stores belonging to the community were built nearby . 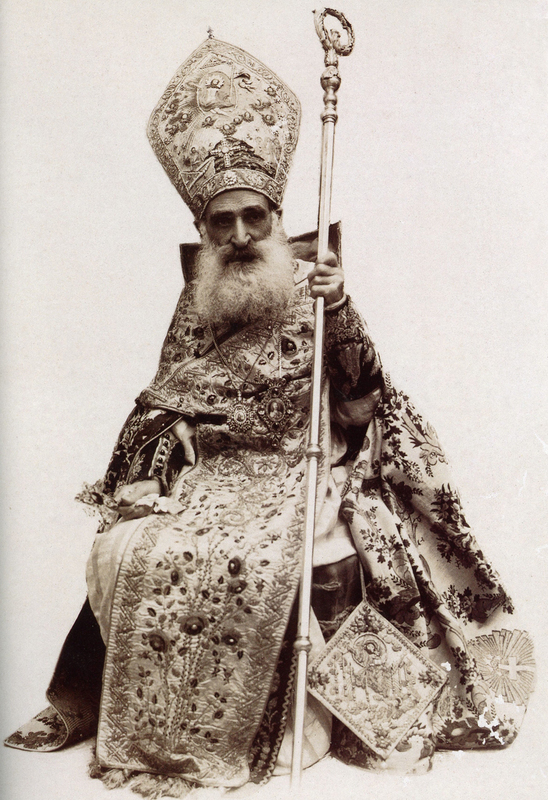 The following Catholic clergy served here: Father Vrtanes Ouzounian (1880-1888), Father Madteos Sislian (from Marash), Father Avedis Fardjoyan (from Mardin), Father Miklayel Karabeikian (from Trabizond), Father Hovhannes Kemanidjian (1886-1912, from Marash), Father Krikor Maroushian, Father Hovhannes Khalkhovian and Father Boghos Keredjidjian . This was one of the best liked chapels of Sis Armenians. 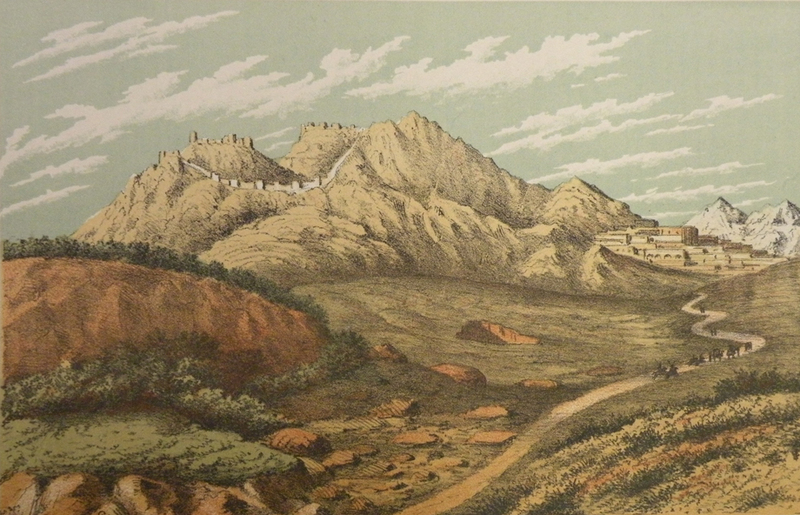 It was located near the mother monastery (Nor Vank), adjacent to the Martayan family house. It had a large yard and a perimeter wall. The yard was used as a cemetery, especially for children. The tradition was to sacrifice an animal every week and to prepare the madagh meal. The Divine Liturgy was celebrated in the chapel on St. Minas Day. On the first Saturday of Great Lent (called hadig week), all couples wed during the past six months would make a pilgrimage here. Wrapped in white cloth from head to toe, they would make merry the entire day. In addition to all this, St Minas was the patron saint of saving people from loss (in Turkish- yitikci ; the finder). When Sis residents lost some object or an animal would wander off without a trace, they would come to this chapel and make a promise of a gift to St. Minas . This was a chapel in the town center. 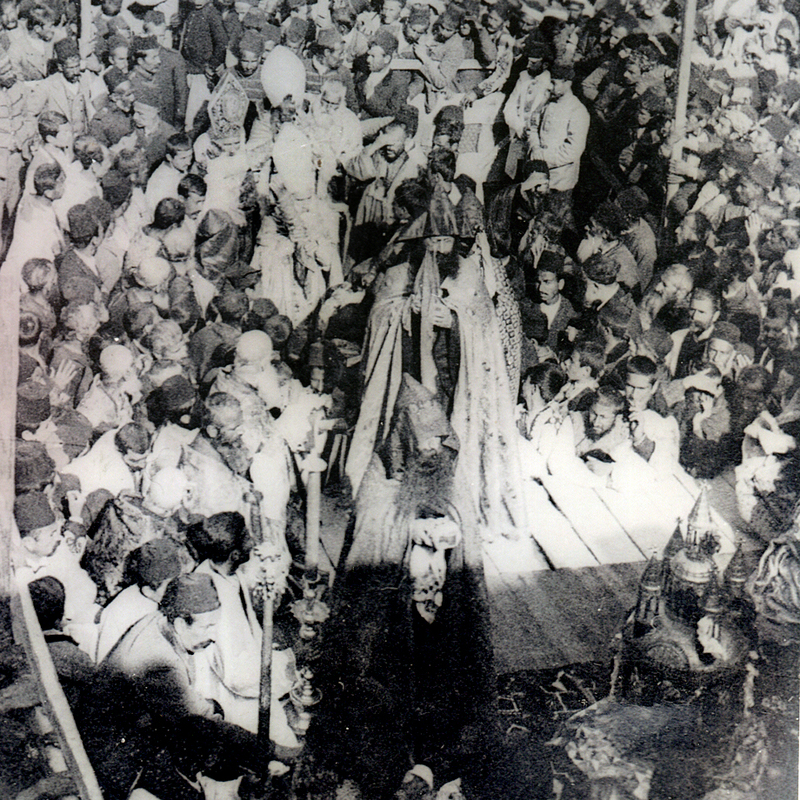 On the feast day of Boghos-Bedros, the Divine Liturgy was celebrated and the madagh meal distributed to the people. The extensive chapel yard, used as a cemetery until the end of the 19th century, was surrounded by a wall . It was located to the left of the Sis Bridge. Only ruins had remained. Misak Keleshian recounts that its ruined walls were still visible until 1915. Armenian pilgrims on their way to Jerusalem would make a point to stop here and only proceed after praying . This church was located on the southern wall of the Sis fortress. It is believed that the chapel was allocated to fortress residents and soldiers. 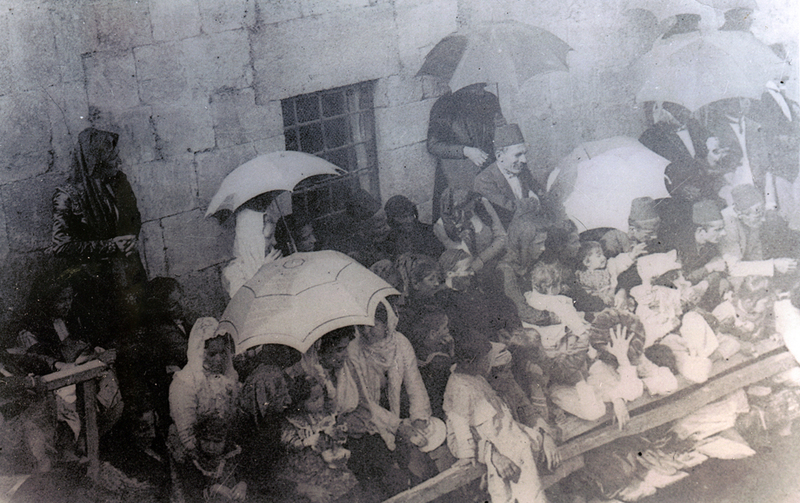 Sis Armenians celebrated a unique holiday on the third day of Easter called Perti Or (Turkish - kalagünü, English – Fortress Day). Throngs of people, loaded with a day’s worth of provisions, would make a pilgrimage to the ruins of Zoravarats Church. The Divine Liturgy was celebrated on the partially ruined altar. Festivities would follow . The ruins of another church were to be found behind the fortress. There was a hollowed out rock there that was a pilgrimage site for infertile women. According to local belief, women walking past the rock would be cured of their infertility . This was a ruined chapel to the north of town, before reaching the bridge. On the Blessing of Water Day, the church procession would stop to pray near these ruins. It then proceeded a bit to the north and would stop on a high cliff near the riverbank; a place the people called Kızlar oynağı . This was a holy site a half hour’s walk outside on town towards the south. It was in ruins. It was also known as Çamurdan kilise (the church of the Chamourdan family), since the spot and nearby fields belonged to an Islamized Armenian family of the same name. Today, the spot is called Çamurdan kisesi . A ruined chapel located before reaching St. Nigoghayos. A ruined chapel located in the southern section of town. After Easter, the old women of Sis would come to the spot on the following seven Fridays, early in the morning, to pray . This site was located in the western portion of the city, on a hill, between the old and new monasteries. According to 19th century reports, it was already in ruins. There was a spring nearby . When Misak Keleshian was in Sis, all that was left of this ancient church, most likely Greek, was a dilapidated wall . A pilgrimage site below St. Sarkis Church opposite the Khachigian family house . Amaçkı is the Turkish word for “opposite/facing”. The chapel was a cave located to the east of town. Sis Armenians would visit on the first Thursday of Great Lent to pray and light candles . This was a cave, regarded as a holy site, located at the base of a small tower (küçük baş kule) on fortress territory . 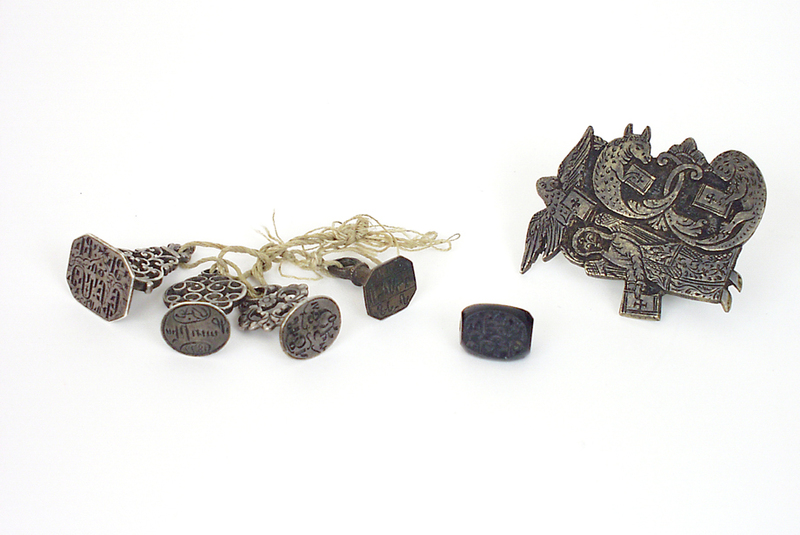 The Muhabbetci represented a religious society (brotherhood) created in the 1870s by Marash Armenians and which spread, especially to Zeytoun, Hadjin, Dörtyol and Sis. 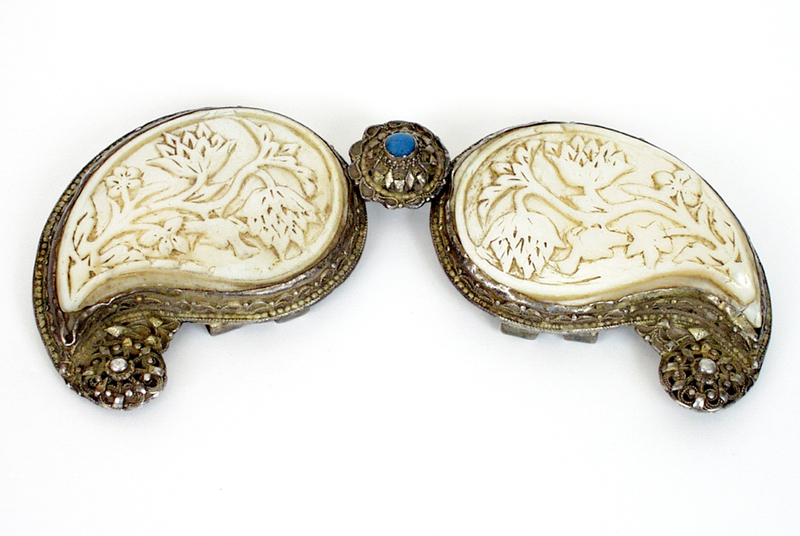 It was known in Armenian as the “Siro Engeroutyun” (Society of Love) . The Sis branch was formed in 1891-1892 by Hadji Sarkis Bashian. The society had its own place of worship where, several times a week, male and female believers would pray, sing spiritual songs and interpret the Holy Bible. Adherents would have to follow strict rules – no drinking alcohol, no smoking, no cursing, no card playing, no fortune telling, and on Sundays people had to fast and conduct no business. According to Keleshian, a small number of Kurds and Turks also joined this group . Misak Keleshian also notes the following names of churches and chapels that existed during the days of the Cilician Dynasty that disappeared without a trace: St. Mariam (or Holy Virgin) Church, St. Hripsimeh (or Holy Virgin) Church, Holy Spirit (or Spirit Holy), St. Athénogène, St. Barsegh, St. Tavit Asdvadzamayr, and St. Hovhannes. 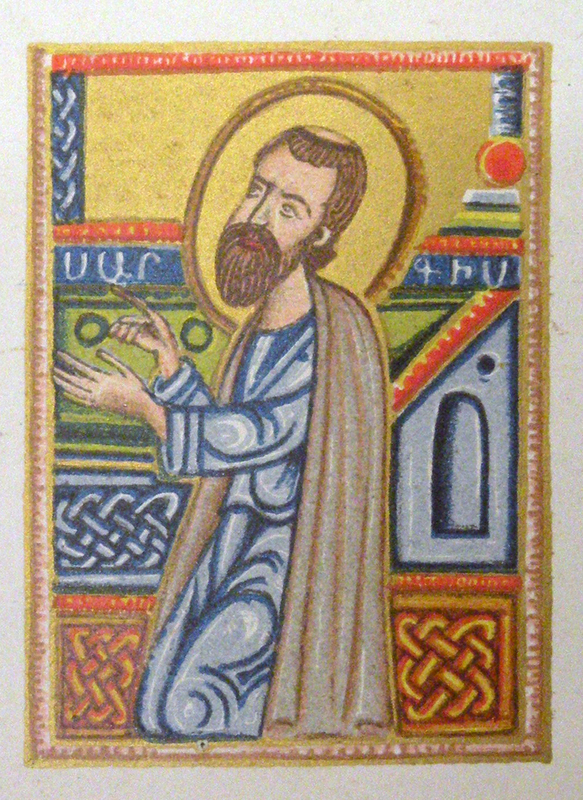 Ghevond Alishan provides names of Assyrian churches that once existed during the dynasty, including: St. Asdvadzadzin and St. Barsoum. There were also Assyrian monasteries . The monastery was located 36 kilometers north of Sis. It probably existed from the 10th century onwards. 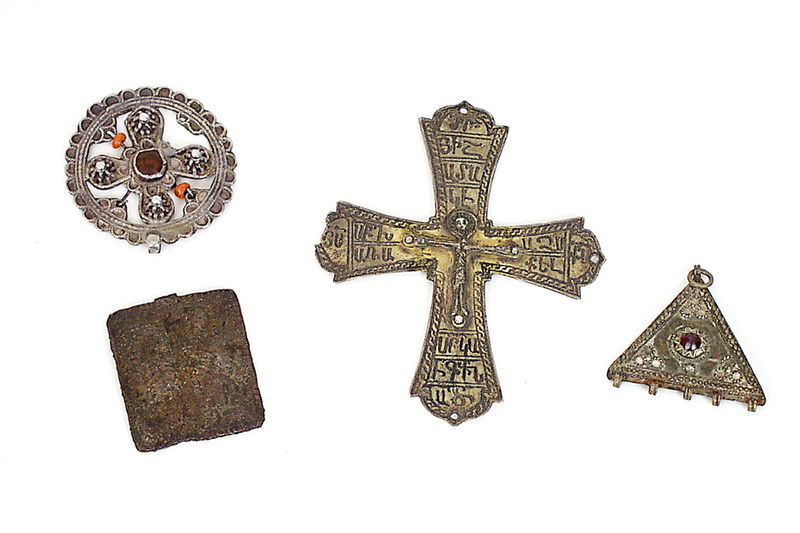 In the 12th century, during the reign of Prince Toros the First (1100-1129), it became one of the important Armenian centers of learning during the medieval period. Principally recounted as one of the architects is Kevork Meghrig, from Vasbouragan. Many manuscripts were written and copied here. The monastery’s church was called St. Asdvadzadzin. It was resting place for princes, kings and catholicoi. Buried there are the Cilician princes Toros I, Toros II, Roupen II (1169), and Toros III (1293-1298); the King Hetoum I (1226-1270), Queen Zabel (1222-1252); various catholicoi such as Gosdantin IV of Lambron (1323-1326) and prominent miniature painters such as Sarkis Bidzag; and the monastery architect, Kevork Meghrig . On the holiday of the exaltation of the Cross, the faithful of Sis and its environs would make a pilgrimage to the ruins of the monastery. 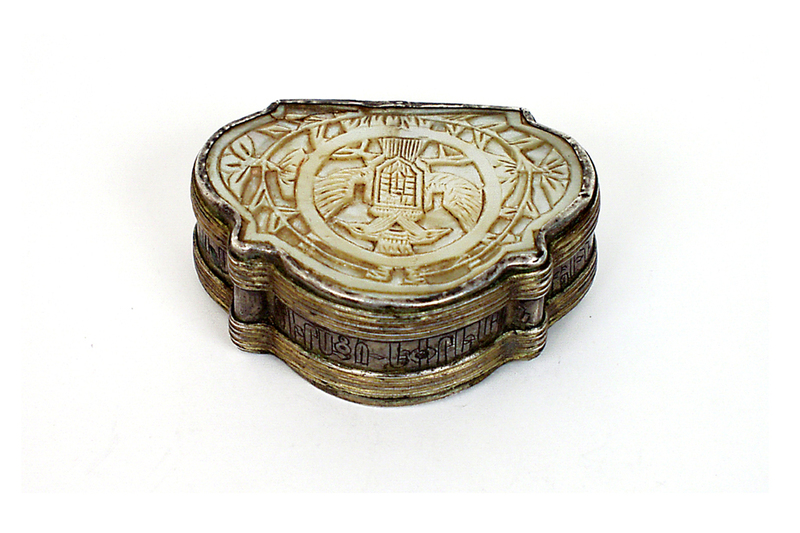 Goats were slaughtered and large cauldrons of madagh would be prepared and distributed. The Blessing of the Water ceremony would be performed with water from the nearby büyükpunar (big spring). Those present would not only drink the blessed water but would also wash their wounds or painful eyes with it . For architectural details of the church see: Lévon Nordiguian, “La cathédrale de Sis. Essai de reconstitution”, pp. 64-73. “A copy of the Bulletin Given to the Central Administration” [in Armenian], attached to a letter of Sahag II (Number 71) to Patriarch Ormanian (Bolis), May 31, 1903, Sis, in Cilician Laments, 1903-1915 [in Armenian], Hrazdan Printers, Beirut, pp. 19-21. Moushegh Seropian, Autobiography [in Armenian] (unpublished), Booklet 2, p. 265. Misak Keleshian, Sis-Madian [in Armenian], Hay Jemaran Printers, Beirut, 1949, p. 164. 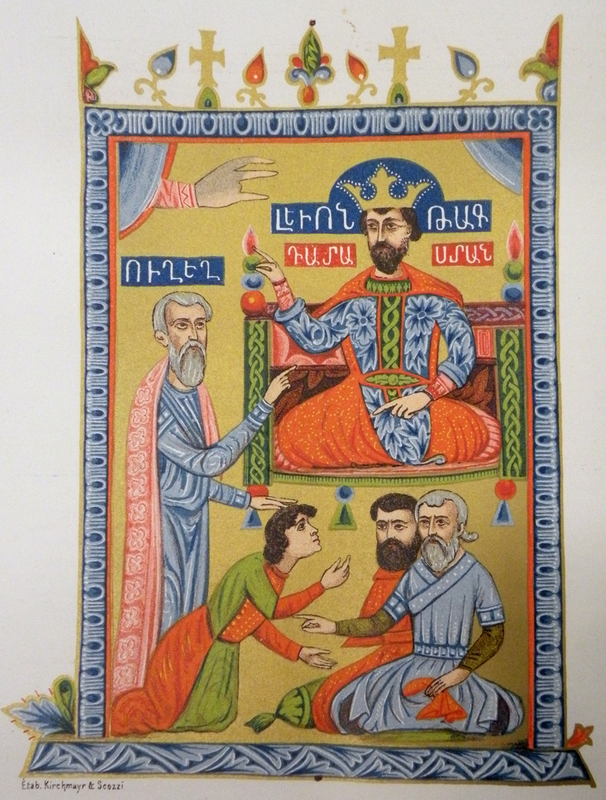 Arakel I, Geneology of the Adjabahian Noble Family [in Armenian] (manuscript), 1866, Sis, p. 27. Victor Langlois, Voyage dans la Cilicie et dans les montagnes du Taurus, Paris, 1861, pp. 391-392; Keleshian, Sis-Madian, pp. 164-166, 175. Langlois, Voyage dans la Cilicie, p. 389-390; Keleshian, Sis-Madian, p. 166. Ibid, p. 167. I also thank Ishkhan Chiftjian for this information. Ibid, pp. 362, 364, 367. Léon M. Alishan, Sissouan, ou L'Arméno-Cilicie : description géographique et historique (traduit du texte arménien), S. Lazare (Venise), 1899, p. 253. Keleshian, Sis-Madian, p. 173; Alishan, Sissouan, ou L'Arméno-Cilicie, pp. 265-272; T. Kh. Hakopian, Sd. T. Melik-Bakhshian, H. K. Barseghian, Dictionary of Place Names of Armenia and Adjacent Areas, Vol. 2, Yerevan, 1988, p. 149. 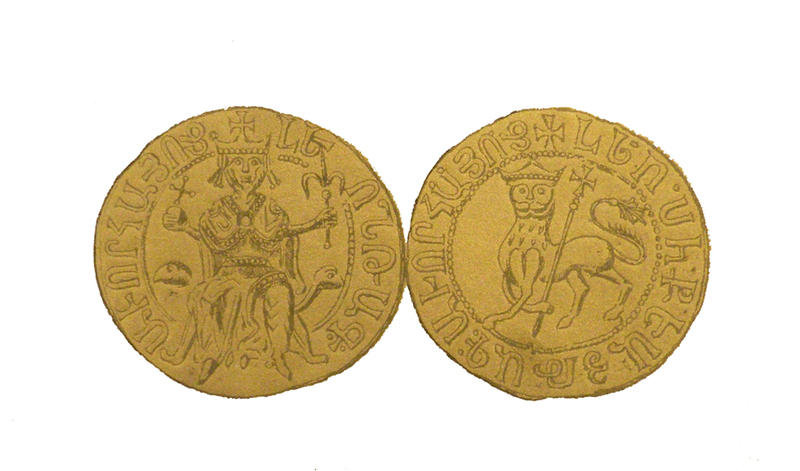 .Lévon Nordiguian, "Le monastère du catholicossat de Cilicie à Sis. Entre hier et aujourd’hui" (in press). 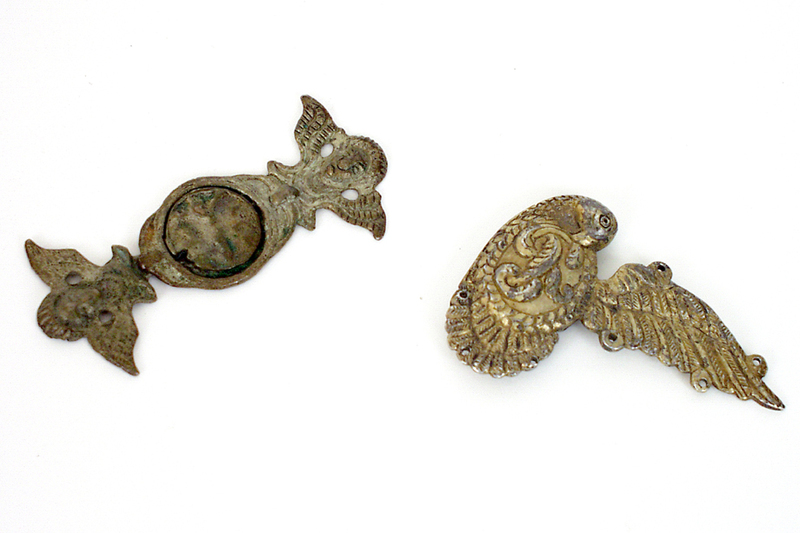 Do you have any information about the various churches in Sis (present-day Kozan) during the Ottoman period? Do you have additions or objections to the information contained in this article? 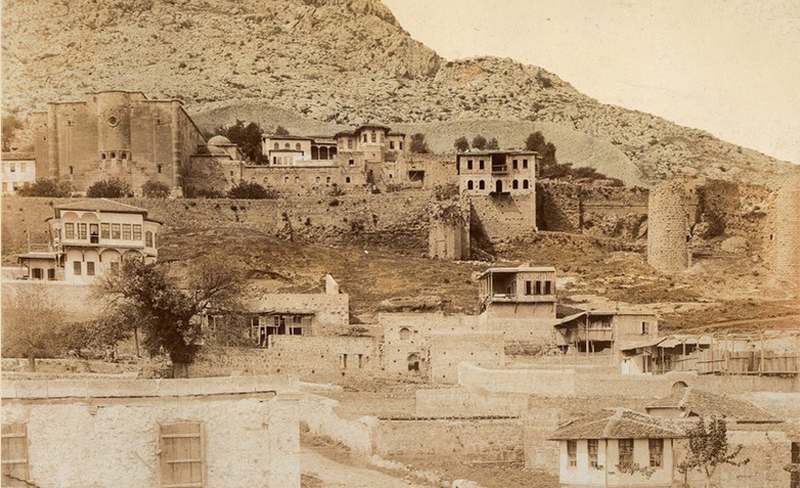 Do you have old family photos from Sis or panoramic views of the town during the Ottoman years?